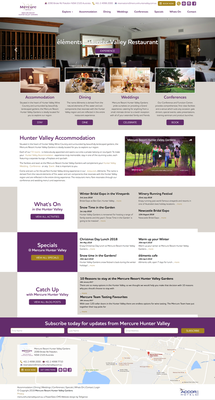 Mercure Resort Hunter Valley Gardens wanted to showcase their exquisite property and show what the Hunter Valley wine country has to offer in their new PowerSites website. 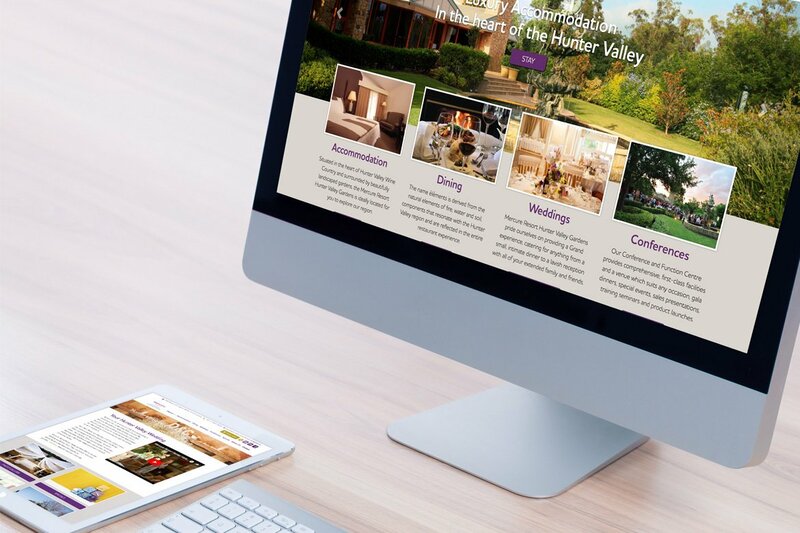 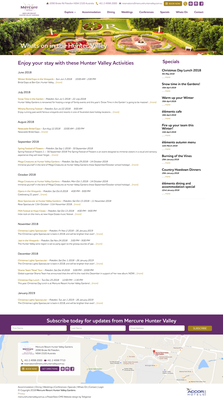 Using the Mercure Group's branding guidelines, the resorts professional photographs and promotions material, Telligence created a website that is unique but still follows the branding guides of the franchise. 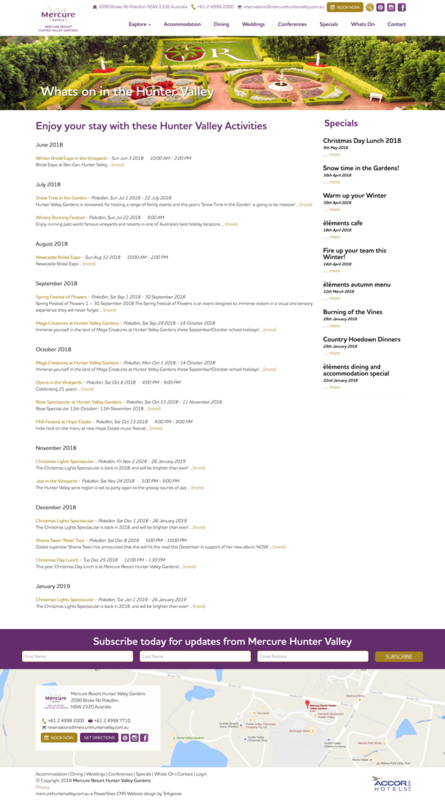 Utilising many add on modules available on PowerSites, Mercure Resort Hunter Valley Gardens can promote upcoming events, specials, take conference bookings, display a photo gallery, take online enquiries and post articles on their blog.